”To give birth or to survive”, “house slave + child slave = life as slave” – ​​similar bitterness has recently caused unprecedented resonance in the post-80s group in China, and also gave birth to a new term – “child slave “. The so-called “child slave” refers to the life state in which parents have been working hard for their children, busy with their children, and lost their self-worth. Today’s “child slave” panic disorder spreads rapidly among young people in China. It is a social phenomenon not to be born or to be born. In response, a Chinese scholar told the Global Times reporter that some parents buy insurance for their children, and that children must be guaranteed from the age of 7 to 70. On the surface, this is a kind of selfless love, but it is actually a selfish fear, a distrust and suspicion of the child’s ability and society. Compared with China, there are also “child slaves” in some foreign groups, but many foreign parents believe that they should learn to enjoy the time with their children rather than regard it as a burden or investment. Xiao Huang, who lives in Chaoyang District, Beijing, was just 80 after becoming a mother. 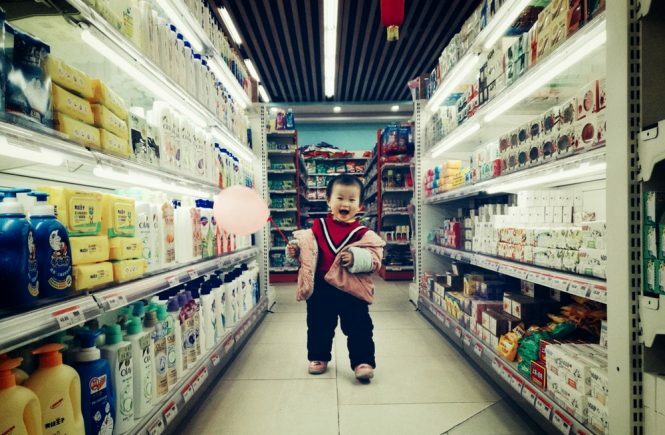 Talking about his own experience of raising children for more than two months, Xiao Huang told the Global Times reporter, “It is really expensive to raise children now, but it depends on how you raise it.” Milk powder will cost more than 1,000 pieces a month. money. Because Xiao Huang’s children are born prematurely, in order to improve their resistance and physical fitness, they should give their children colostrum. A can is about 500 yuan. When the children are bigger, they need to add fruit puree and vegetable puree. There are dozens of bottles in one bottle. The “urine dampness” used by babies also costs more than 2,000 yuan a month. However, Xiao Huang also found a lot of ways to save money. For example, children’s clothes and toys are small clothes and toys that are no longer used by relatives’ children. They use cheaper urine mats for children during the day… “Now it is 6 adults to raise a child. I think this should not be very difficult. Things,” Xiao Huang said. 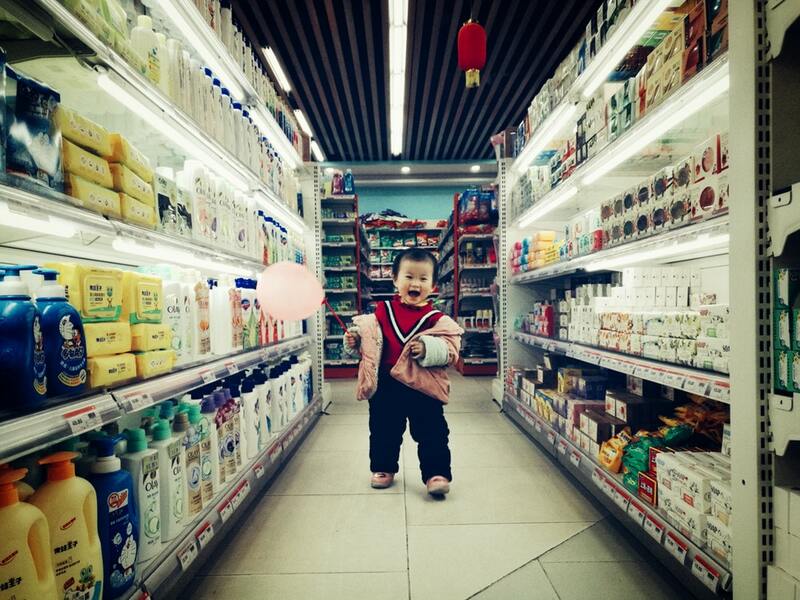 In Xiao Huang’s view, the main cost of raising a child is to buy something, and in the eyes of American Sabina, it is the most expensive to ask someone to take care of the child. Sabina told the Global Times that her four-year-old child’s monthly expenses are: $120 for food, $50 for clothes, $100 for toys and books, $100 for medical insurance and medical expenses, and 200 for other household items. The US dollar, a gift for children’s birthday party and other activities, is $50 for a gift, $100 for a swimming class, and sometimes $300 for a child. According to her estimates, the amount of money spent on her children each year is about 20% of her family’s annual income before tax. Sabina told reporters that the basic cost of raising children in the United States is affordable for ordinary working-class people. Although children’s food and clothing in the United States are not expensive, they are expensive. If you want to ask for a full-time babysitter or a nursery school, you will have to pay a large sum of $1,000 to $1,500 a month. In the city of San Diego, where the reporter is located, there are many Mexican immigrants who work part-time. Their annual income is one to two thousand dollars, but three or four children are born and eaten and enjoy various government benefits. A recent survey in the United States showed that raising a child born in 2008 until the age of 18, a middle-income American family would need $290,000 for low-income families, $20,000 for low-income families, and $480,000 for high-income families. The West has always advocated the tradition of “18-year-old self-reliance”. It is reasonable to say that there should be no “child slaves”, but in fact this tradition has gradually become indifferent to families in some western countries. In the United Kingdom, for example, the United Kingdom loves to call people born in the 1980s a “child of Thatcher” or a “self-priority” generation. The reason why children are favored is because more and more British families currently have only one child. Although the United Kingdom is a country with a well-developed welfare system, the cost of raising children is not small. There are national subsidies for children, but they have to pay at least £400 a month for kindergarten or preschool. Coupled with the child’s other living expenses, many parents are afraid to regenerate the second child. According to the National Bureau of Statistics, in 1972, 18% of British children were only children, and now it has increased to 26%. . There are 3.07 million single-child families in the UK, 120,000 more than the families of the two children, and more than 500,000 more than the traditional family of four. Civitas, a British think-tank, has published a research report that the current British couple wants to have a child, and economic pressure is indeed a compelling factor. Britain’s “child slaves” have been thought to be ravaging the younger generation. The report of the Children’s Vision, a children’s vision in the UK, has been sternly criticized for cultivating a generation of “little little guys”. Professor Cooper, director of the Department of Psychology at Lancaster University in the United Kingdom, believes that a child who loves is simply not prepared for the future of society. In a recent survey of a number of well-known companies by the UK College Graduates Employment Association, many employers said that young people who have just stepped out of school lacked interpersonal skills, and the degree of seriousness made them “desperate.” The survey also found that young people are particularly dissatisfied with the so-called “squatting” work, they simply do not understand, and can not accept the work of “not match” with their academic qualifications, experience and expectations. Some people can’t even get the most basic professional skills—colleagues who answer the phone politely and respect the office. In the United States, delaying childbearing has become a trend. In the shadow of the economic crisis of the past two years, many American families have indicated that they dare not have more children. According to The New York Times, the number of new pregnancies has declined in a clinic in Las Vegas, and the number of people requesting birth control has increased. Many clients tell doctors that it is not the right time to form a family. Bear the cost of raising a child. Linna of Florida is the mother of three children, she likes children very much. But now, due to fears of a deepening recession, her family is no longer planning to give birth to a fourth child. The two high-tech technicians in Seattle, Michelle and Paul, have not lost their joy in welcoming the first child, and they have lost their jobs. Paul said, “Now we can’t sleep, worry about how to raise this baby.” Friends and relatives, because of their own economic pressure, failed to give them many baby gifts as expected. On the issue of “child slaves”, the West is obviously not as serious as China. In this regard, Zhou Ning, dean of the School of Humanities of Xiamen University, believes that the main reason for the phenomenon of “child slaves” is still the problem of concept. Chinese culture has always been family-centered. It used to be upwards, with the word “filial piety” as the center; now it is downward, with the word “nurturing” as the center. Although the Chinese society has changed, this family-centered tradition has not changed. Think of the child as a center, and think that the child is everything in real life, that is, the family-centered concept has been intensified. Secondly, in China, material care is regarded as the main form of love. Therefore, it lacks respect for people and lacks the cultivation and respect for children’s personality and value. Parents believe that we must try to meet the children’s various material needs, but also give him the best, this is to love children. On the one hand, Chinese parents show excessive love for their children; on the other hand, these parents do not really know how to express love and love to their children. Third, many of the burdens are actually added by parents themselves. In Europe, the situation in many countries can confirm the views of Professor Zhou Ning. Children in the Netherlands are rated as the happiest in Europe, because in the Netherlands, “letting them develop freely” is the golden rule for nurturing children. After the Dutch child reaches the age of 12, he will be asked to do what he can. A bill of rights in the Netherlands stipulates that it is “legitimate” labor for children to clean their rooms. In Switzerland and Norway, local parents are more likely to choose to gradually take care of their hands after graduating from junior high school, let them contact the society to work or accept other training, and use their ability to earn income. After the age of 18, basically all children will move out of their homes to live independently. The same is true of Japan, which is both westernized and oriental in education. Japanese children can go out by tram on their own and do not need family to accompany them. Every day at two or three in the afternoon, reporters often saw uniformed primary school children and even kindergarten children on the tram. They always laughed together in twos and threes. Ma Li, a member of the State Council and a member of the National People’s Congress Education and Culture Committee, believes that the phenomenon of “child slaves” is mainly concentrated in cities. China’s family hereditary concept is strong, and it is hoped that every generation of the family will be able to glory. Parents pin their expectations and ideals that they have not achieved on their children. At the same time, with the improvement of living standards, people’s consumption tends to diversify. Basic consumption can no longer meet families with better living conditions, especially in urban areas. The only child in the city has taken up the majority, and parents are particularly easy to double their love for their children and double their investment for their future. China is in a period of transition, social opportunities are uneven, and public service supply is lacking. The government should invest heavily in the supply of public services and encourage the whole society to invest together in many forms. Zhou Ning believes that to solve the problem of “child slaves”, first of all, there must be guarantees in the system, such as education, medical care, and old-age care, to eliminate parents’ concerns about the future. Secondly, it is necessary to have a conceptual guarantee. Young people after the 80s must learn to be parents and learn to express love. Fostering offspring is not just an economic proposition, it is more about propositions, ethics, respect for people and other propositions. “It is bitter to raise a child, but there is happiness in suffering.” Professor Zhong Shuhua of the School of Public Administration of Huazhong University of Science and Technology believes that parents should first adjust their mentality and consider taking extensive education. In this way, parents are relieved, and it is also conducive to the growth of children.